Hola mis amores 💖 I know this holiday skin care routine seems a little random (Like, it’s FEBRUARY. Christmas was a month ago…) Pero, this was actually posted in December on Hermosaz.com and I wanted to bring it over here because there’s going to be many more to come! I’ve partnered up with Hermosaz.com to bring beauty and fashion content to a bigger Latina audience AND I’M SO ESSCITED 😩 Everything that I post in this category will have been originally featured on another site, like Hermosaz.com or any other partnership’s i’m going to be involved in (fingers crossed 🤞🏼) So enjoy the post! Even though I wrote this with the holidays in mind, you can still apply the tips to anytime of the year! Glow brighter than Abuela’s Christmas tree with this simple beauty routine. The holidays are perfect for glitter makeup and smokey eyes to make you shine! And you’re probably beating your face up for that office Christmas party or Noche Buena at your Tia’s house, but are you paying attention to what you do to your skin after the party? Waking up with foundation and mascara on your pillow is not fun, and neither is a break out from having those products on all night. Follow my guide below to get glowing skin for the holidays even before the highlight touches those cheekbones. 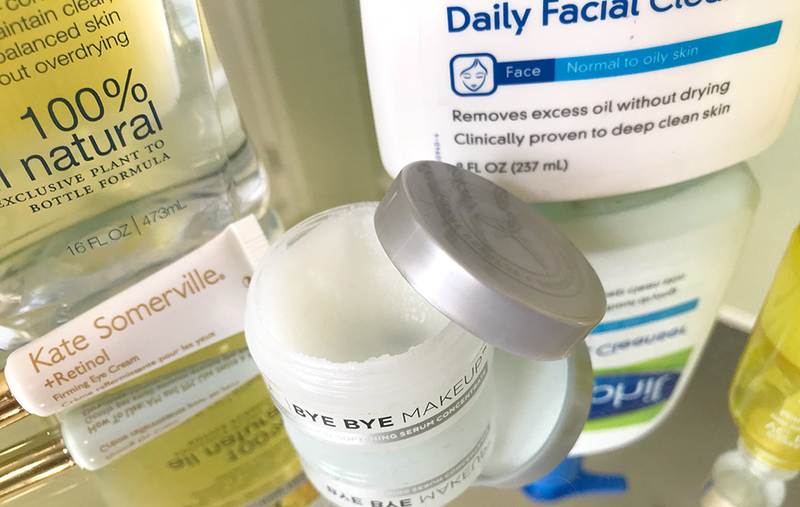 I prefer to use coconut oil or an oil-based makeup remover like the Bye Bye Makeup Cleansing Balm from It Cosmetics. Your makeup will slide off like manteca and after wiping it away with a warm wash cloth, your face will feel soft and smooth. Seal in all that goodness you just put on with a thick moisturizer. 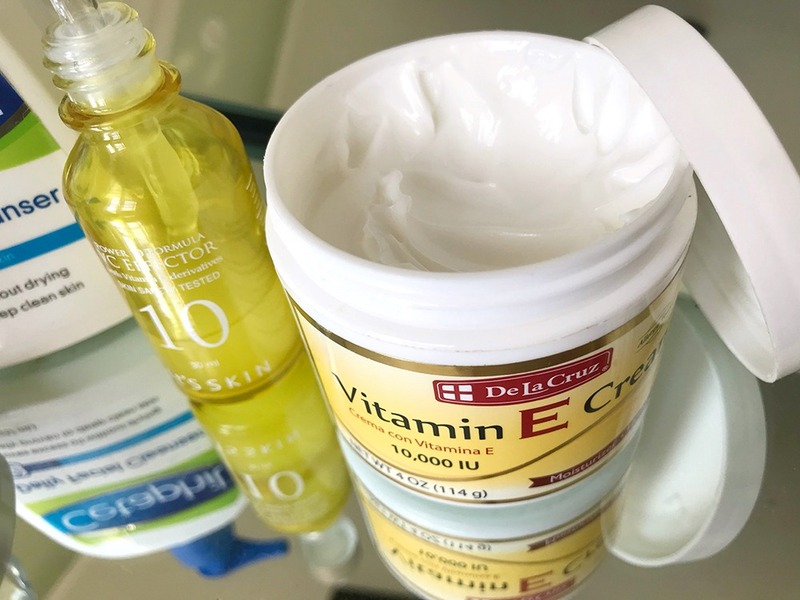 Make sure your moisturizer is working double time by having vitamin E, an antioxidant, anti-inflammatory, and anti-aging weapon like De La Cruz Vitamin E Cream. I hope this was just the guide you needed to get started on putting your best face forward this Christmas. If these tips worked for you, share it with me on Instagram by tagging #skincarebymeldez! Feliz Navidad y les deseo a todos un prospero año!